When looking for a deep and inspiring quote about the passage of time, from some great bygone Masonic author, to kick off this letter I came across the poem above by a favorite author of mine. While not a Freemason (as far as I know) his literary works were key in ensuring my life long love of reading. Considering that we are going into June and then there are just three regular meetings left in my tenure as Worshipful Master I felt this poem was appropriate. April was a busy month filled with brotherhood, education, patriotism and old friends reuniting. The month kicked off with Brotherhood night consisting of great burritos and excellent conversation. 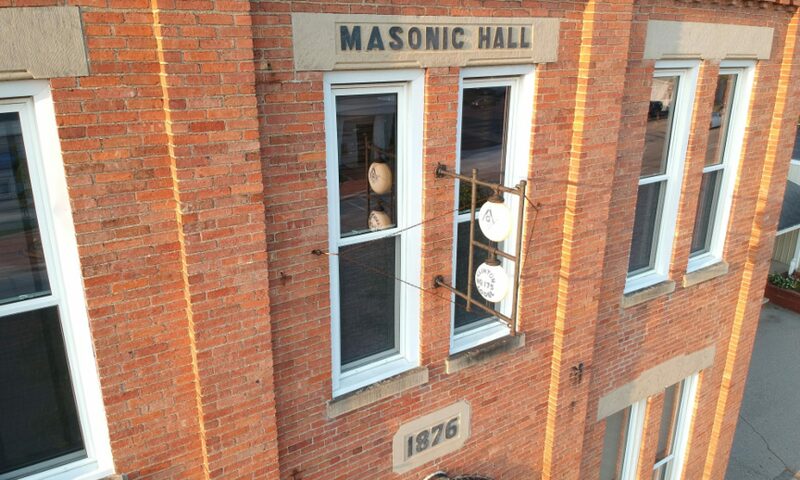 We joined with Brothers from Lenawee, Washtenaw, and Jackson County in welcoming the MWGM to Tecumseh Lodge’s Ashlar Hall, where our Masonic Veterans were honored with a dinner and the gift of a challenge coin from the MWGM. Our lodge was selected to open and close at the District Lodge of Instruction in Tecumseh focusing on the FC Degree. We closed the month with a MM Degree and our Annual Past Masters Oyster Lunch spending time with old friends. Besides our Regular meeting in May Brothers Devon, Brian, Wes and myself attended Grand Lodge at the Amway Grand in Grand Rapids. I am looking forward to next years which will be at the Eagles Crest in Ypsilanti right in our backyard. It was my honor to represent our Lodge again this year at the Clinton High School Senior Awards night were we once again presented three deserving students with Scholarships. 5th Wednesdays are still going strong, typically we meet at Lodge on the 5th Wednesday at 7:30pm and have a relaxed casual conversation about anything from time management to Aristotle’s Rhetoric, depending on who shows up and what Brothers are in the mood for. This month we changed the venue and a number of us joined Ann Arbor Fraternity at the Zal Gaz Grotto for a presentation on mentoring and retention presented by WB Cory Curtiss. I am looking forward to implementing some of the ideas we thought would fit our lodge and bring more value to our brothers. June is upon us and with it our last regular communication before summer. If you haven’t already signed up for the picnic be sure to go to our facebook page or website and do so, it’s going to be big this year so far we have 67 registered. Also if you are interested in joining me at Camp Masonry in August check out the link or talk to Brothers Wes or Duanne. Brother Wes will be leading book club again this summer, we will meet the 3rd Wednesday of July and August and if needed we can wrap up on the 5th Wednesday in August. 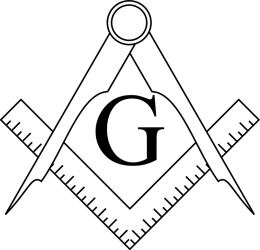 We will be reviewing Freemasonry: A Journey Through Ritual and Symbol (Art & Imagination) by W. Kirk MacNulty which is available on Amazon for $10.32. For more info check out Brother Wes’ post on the website. Finally Brothers, I want to help remind each of you about our obligations to one another. While we often think of charity as something that extends beyond the Lodge, there is the opportunity for us to help one another. Charity does not always mean money. Often charity is sharing our other valuable resources like time and care. Sometimes this help can be in the form of real need, other times it is just reaching out to check on a Brother. Take a moment or two and connect with someone you have not talked with in a while. See if they are ok. Do they need someone to give them a push back to Lodge? Do they need some help getting a chore done? Do they need financial assistance? Are they struggling at home? Do they just need someone to spend a little time with? The level of need in the Lodge, and outside the Lodge is greater than ever. Demands of family, school, work, community wear us down and often make us forget the obligations we took together. When we fulfill our obligations to one another we continue to cement our fraternal relationships, friendships and bridge the gaps that our society thinks are “normal”. When we do the extraordinary for one another, we help build up each other and our community as a whole.